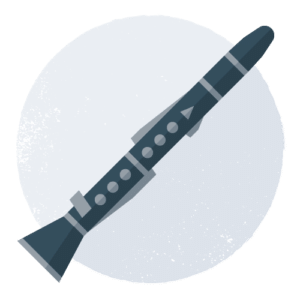 Windsock Music is an independent music service offering creative musical opportunities for wind players of all ages and abilities throughout Berkshire, Oxfordshire and Hampshire. 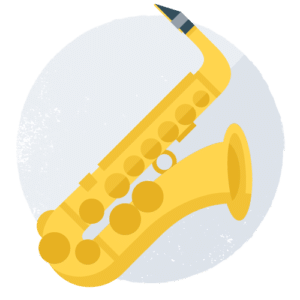 We offer one to one music lessons in Saxophone, Clarinet and Trumpet, as well as bands, workshops and concerts. Learn in a relaxed and friendly environment, with a fun and simple-to-understand style from a professional musician. 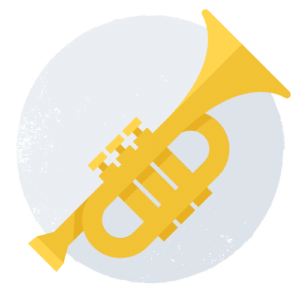 Fine tune your musical flair, learn to read music, play the songs you love, improve your sound, master classical and jazz styles, indulge in improvisation, play along with backing tracks and gain an abundance of confidence. Whether you are a parent seeking an extra-curricular activity for your child or an adult pursuing a new hobby, each lesson is tailored to your personal goals. We are the leading provider of adult music tuition in Reading so don’t allow your age to prevent you learning the instrument you have always wanted to play! Made famous by Kenny G and Lisa Simpson, this part-reed, part-machine horn has dominated the last century thanks to its expressive sound, affordability, and its starring roles in genres from pop to jazz and beyond. With the simplicity of a recorder and a dash of bling, it’s smoother than a cat in a dog house. The reedfather of the woodwind family was first introduced to the orchestra by Vivaldi. It has the power to summon entire packs of dogs, yet can also have one of the most beautiful and moving sounds. The clarinet is the fashion stylist’s perfect partner in crime (anything looks good with black, right?). An amplified raspberry-blower with a heart of gold. Don’t let it’s lack of keys fool you, it can pack more punch than Muhammad Ali or take on the smooth & sultry muted tones of Miles Davis. With one mouthpiece to rule them all, you will never have the inconvenience of replacing reeds. Be prepared to spit some notes, literally. We offer one to one tuition in Soprano/Alto/Tenor Saxophone, Clarinet, and Trumpet/Cornet. We guide students on their musical journey, teaching complete beginners the skills and knowledge to become a wizard of wind. Whether your goal is to jam your favourite songs with friends, play a solo at an open mic night, or perform in a band to thousands of people, we will help you get there. Our affordable & flexible Blow+Go instrument rental is available to all new students.